Yes, wildly off-topic again. If anyone's interested, I've got a short story I'm working on with (what I think is) a really neat emotion-based magic system to it, and I may have cracked the code on my long-suffering "Anita Blake becomes human again and goes on a rampage" book. Which is good for everyone, because the original thought train has expanded into an urban fantasy epic I'm going to write one day, I swear. But for now. 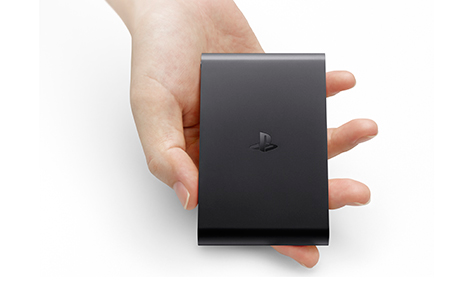 Playstation TV. Background: I started a diet plan a few months ago that was designed to work on a modified swear jar system, where I'd reward myself for good behavior (eating meals from home, eating fruit and vegetables) and punish myself for bad behavior (take-out dinners and drinking soda). The reward cash would go toward a Playstation Vita, because I wanted to play Persona 4 after watching the anime and I'm scared to go into the closet and look for my old Playstation 2. 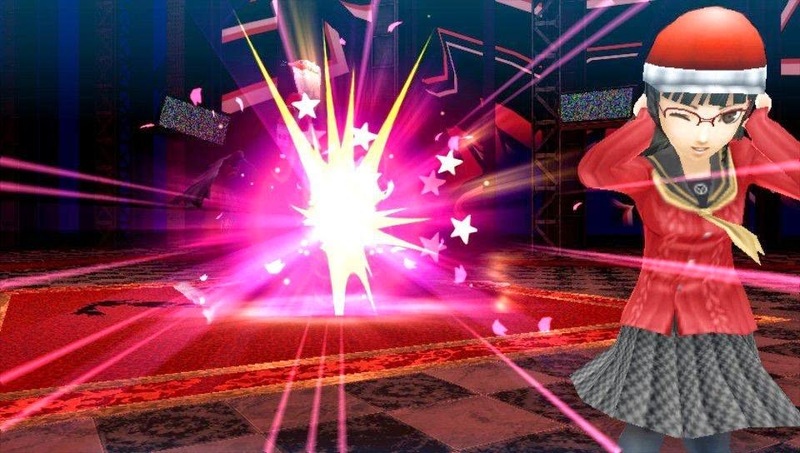 (Also, Persona 4 Golden, the Vita one, has new content I wanted to see that's not in the anime.) Punishment deductions went to my wife for whatever she wanted. The end result was that my wife got a ton of cash and I didn't lose any weight. Poor diet design, plus the motivation fizzled after I did the math on how long I needed to keep up the diet to get the Vita, which with mandatory accessories and the game runs about $260. Then I heard Liam talking about the Playstation TV on the Super Best Friendcast, and how it's the perfect device to play Vita RPGs on if you're on a budget. And it is. It really is! The cost of the system plus the game is $99, and a bundle with a game download (the LEGO Movie game), a Dualshock 3 controller, and an 8 GB memory card is $139. (This is a deal even without the game - Playstation controllers and memory cards are notoriously expensive.) With Persona 4 added in that's about $160 for me, which coincidentally I'd actually managed to save up through the diet system by the time I found out the Playstation TV existed. So I declared the diet on hiatus and picked up the system. Rear-view of the device. Don't put it on your TV, the cables will drag it down. 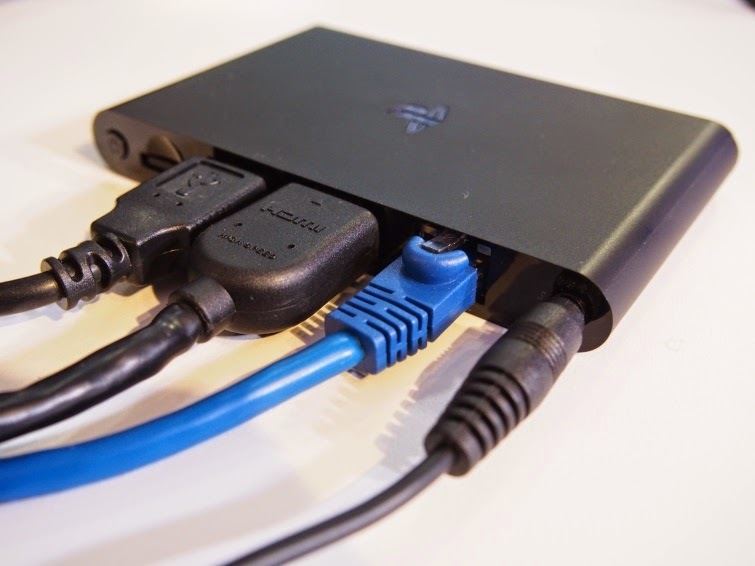 The Playstation TV is about the size of a Raspberry Pi, or a larger cellphone. Really tiny. I can hold it in the palm of my hand. The guts are the guts of a Playstation Vita, minus the touchscreen or any screen at all. It plugs into the TV via HDMI and has an Ethernet port plus wireless capabilities. The controller plugs in via USB, but only to charge and do the initial sync-up with the system. You can plug in up to four controllers, though I'm not sure how many of the games will support multiplayer. Initial set up is fairly easy. 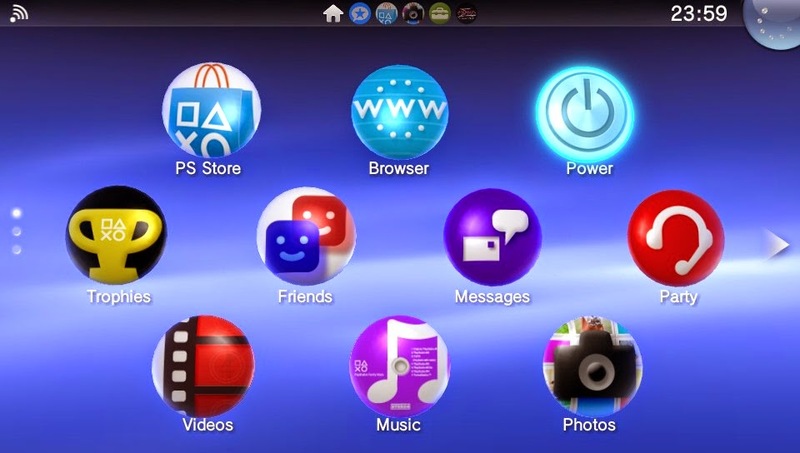 You will need a Playstation Network account to get full feature access, and the website's a bit of a pain to deal with. (You also can't register the hardware yet for some reason.) But if you just want to get started playing a game all you have to do is insert the game chip, turn the system on, answer a few questions and you're good to go. Or you can download the day one update, which will add most of the system's features to your front page. The menu system is not pure crap, but it's pretty bad. There's no rhyme or reason to the way things are laid out, and games (you know, the things you'll actually want to play) are all hidden off the front page by default. And there's no intuitive way to rearrange things unless you go online and read the manual. There's also a news feed you can't get rid of, apparently, whether you want it or not. Actually gaming is much better. The Dualshock 3 is a solid controller (my toddler is already a big fan), and Persona 4 Golden (above) looks great on a big screen. There's a compatibility list for the Playstation TV that covers the games you can play on it, and you will want to give it a look. If you like role-playing games, then you're pretty much set - the Playstation TV supports most of the Vita RPGs. If you sign up for Playstation Plus, you also get access to a few free games, which right now means Spelunky (technically a PS4 game, but it at least installs), Pix the Cat and Rainbow Moon. A new set of games turns up monthly (I think The Binding of Isaac: Rebirth is out next month), and you keep everything as long as your Plus subscription is current. I signed up for a 14 day demo and I'll probably get a full membership. As a media center, you've got much better options. Even the 3DS has better app support than the Playstation TV right now, although Sony swears the apps are coming. I still have my 360 plugged in for Netflix and the like, so this really doesn't bother me. Overall, for what I want it to do the Playstation TV is a great little bargain. It's not for people who want next-gen graphics or lots of streaming apps, but if you just want to play some Vita games without shelling out for a Vita, I'd say go for it.